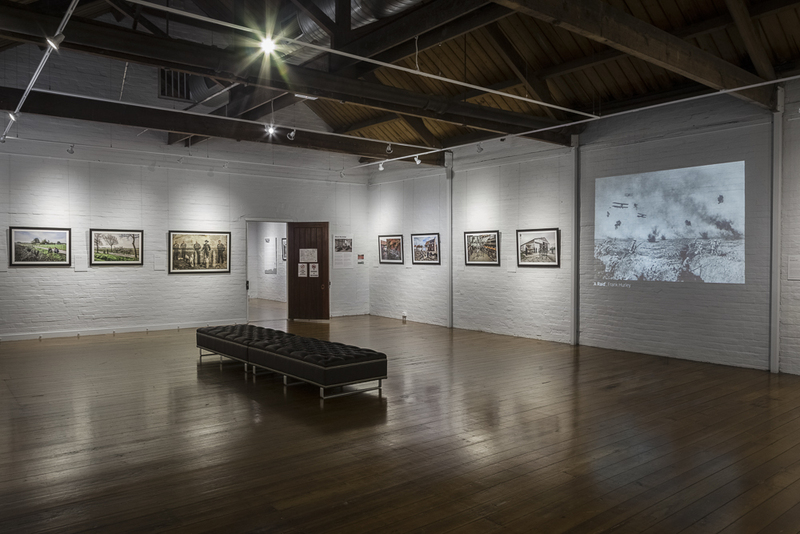 Timed for the centenary commemorations of the Armistice, ‘Recovering The Past’ has made its highly significant Australian debut at Gatakers Artspace on Queensland’s Fraser Coast. The proud recipient of funding from the Queensland Governments Anzac100 Lasting Legacies grants scheme, the exhibition received a warm welcome from the Australian public. A collaboration between the artist and RSL Maryborough sub-branch, the exhibition was greeted with critical acclaim by its many visitors. The consequence of human trauma suffered by Queenslanders as a result of the Great War was laid bare on numerous occasions when tragic family histories were revealed to the artist by the exhibition’s visitors. Through many fascinating discussions with descendants of traumatised returned Australian soldiers who fought in Flanders, first hand accounts of the post-conflict hardship endured by those soldiers are still very much alive. A century on from the signing of the Armistice, the exhibition was privileged to be reviewed by five - now elderly - visitors, each the child of an Australian soldier who fought at Passchendaele, and the very land where this project was produced. It was a sobering experience to witness these specific individuals study the exhibition’s artworks and see the Flanders Fields today, once the location of a tragic part of their fathers lives. The eldest of these visitors - the 98 year old Wilfred Bott - had not just his father, but in addition, five uncles all engaged in the fighting in Flanders. Astonishingly, all six of his ancestors returned physically unscathed. The artist would like to convey his gratitude to all of this visitors who took the time to visit this exhibition on its hugely important Australian debut.